Known as the cradle of civilization, Egypt is an exceptional holiday destination. Whether you are looking for blazing sunshine, a desert adventure, the perfect beach getaway, or coral reef diving, Egypt can offer you all this with a unique historical background that goes back more than 4,000 years. The Pharos, Greeks, Romans, and Arabic dynasties have all played an important part in making Egypt the ultimate archaeological treasure. From tradition to modernity, Egypt has become one of the top destinations in the Mediterranean. Experience the sights, exotic scents and sounds of an Arab bazaar or explore visit the imposing temples of Aswan and some of the most magnificent monuments of ancient antiquity. 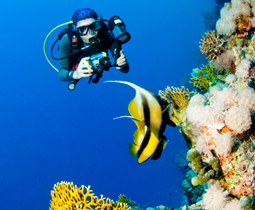 If you are looking for sun and sea Egypt, the deep crystal waters of the Red Sea and the famous coral reefs are perfect for you. Sharm el-Sheikh is one of Egypt’s most well known tourist resorts. These resorts incorporate shopping centres, sandy beaches and excellent diving and snorkelling locations. For a relaxing, satisfying and fulfilling holiday experience – discover magical Egypt!